Barb Wells has been a puppy raiser for Guide Dogs for the Blind for 13 years and has raised 12 puppies so far, with number 13 in the works. 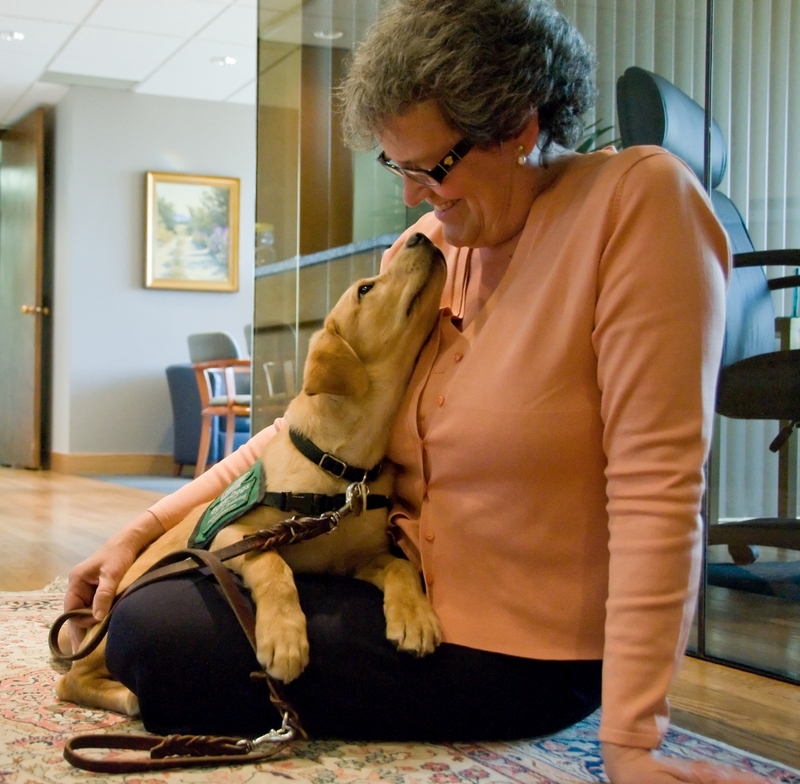 As a leader of a local guide dog puppy club, Barb has worked with many, many more pups as they begin their career as a Guide Dog. The raisers keep the pups for a little over a year. Of course, returning them at about 15 months of age is heart-breaking and hard on every puppy raiser, but Barb knows that they are going into a beautiful world of work and love with their new "best buddy." 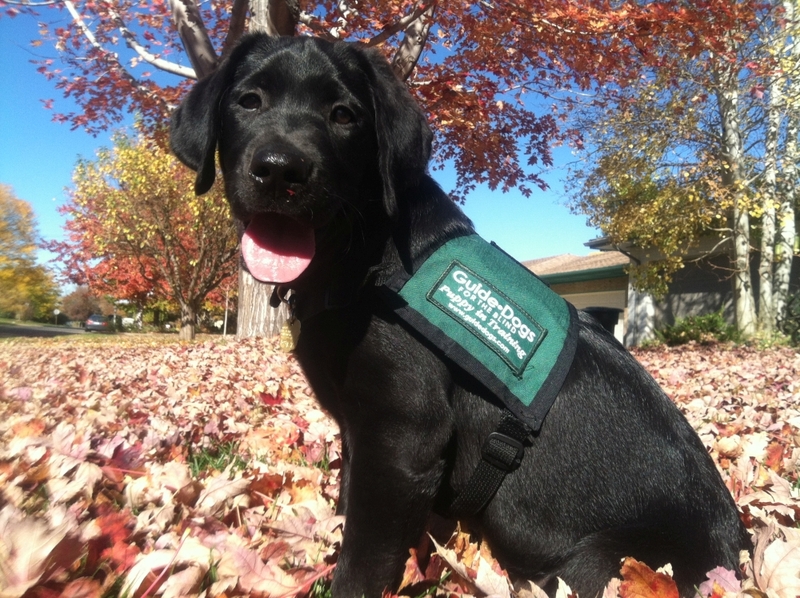 After the puppies leave their raiser, they go on to Puppy College at either the Oregon campus or the California campus, where professional trainers spend about three months teaching them how to actually work in a harness. 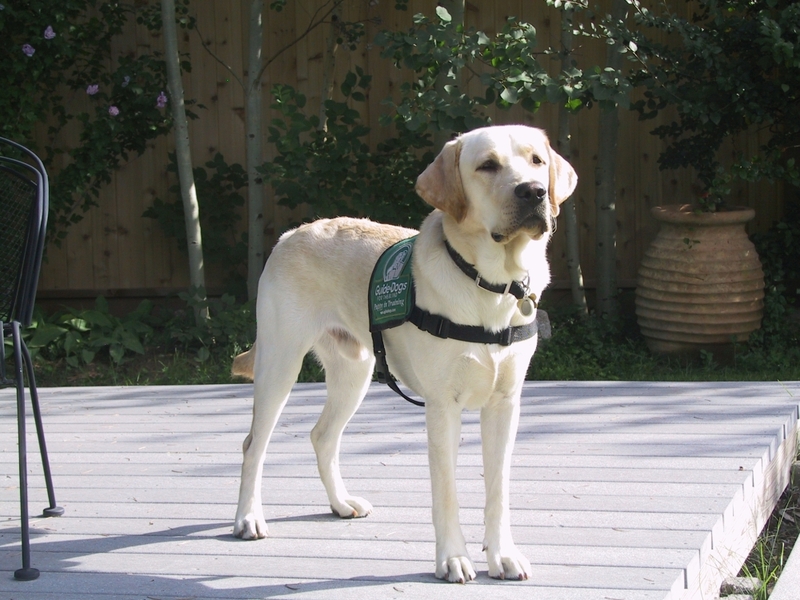 The work of a guide dog is to help their handler to go from point A to point B safely. For example, it is not the dog's job to decide when to cross the street but rather to cross the street safely, to find the door even though the person may have tried to turn too early, to avoid potholes and stumbling on obstacles such as curbs, and to get their handler out of the way of drivers who aren't paying enough attention. 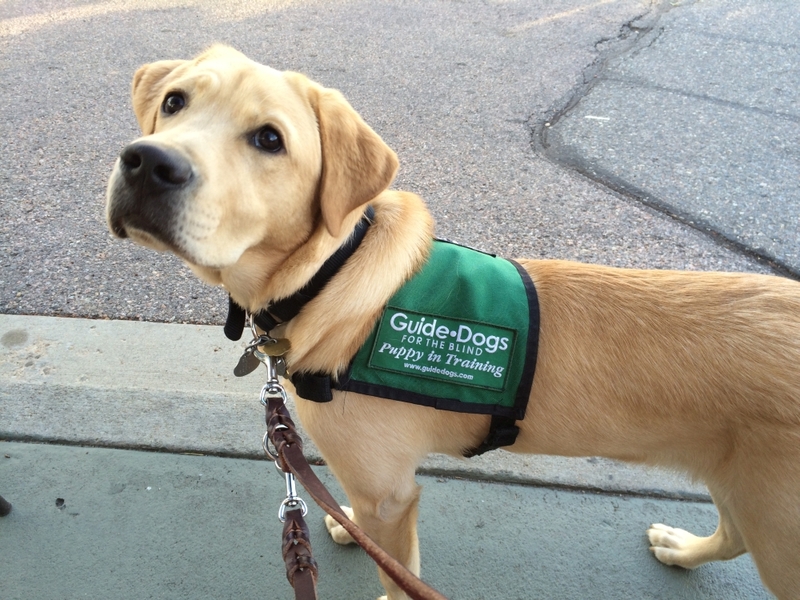 Guide Dogs for the Blind, “GDB,” is the industry-leading guide dog school, preparing highly qualified guide dogs to serve and empower individuals who are blind or have little vision. 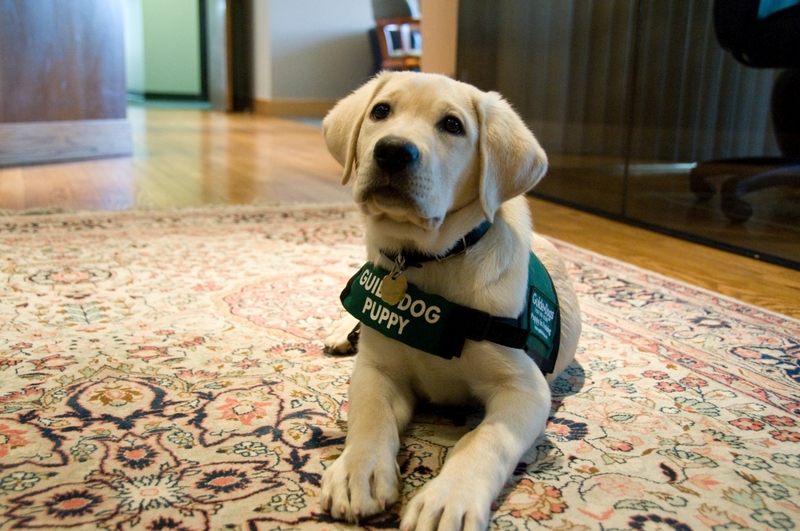 GDB then matches each dog with an individual user; the dogs and the services of training the dogs and post-graduation assistance are provided to individuals free of charge. 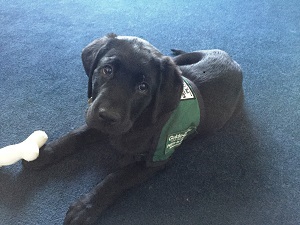 GDB is supported by donations and volunteers including the puppy raisers like Barb; GDB receives no government funding. Army was the first, and like every first child, he had to teach me how to do my puppy raising job. He is living and working with Phil outside of Toronto, Canada. Larrabee was #2, and he had to learn to "love but don't lick." He is living and working in Nebraska with Cliff. Cuba (#3) was a pup that I raised for the first 6 months, and then he went to Utah for their "school program," and he was with a high school girl for the second half of his raising. 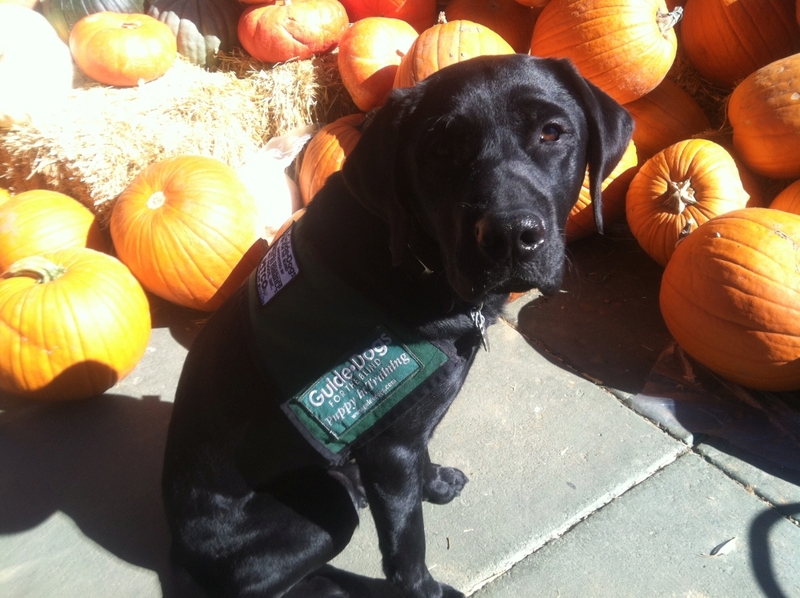 He was working with Cathy in Washington and is now retired and living with Cathy and her family as a beloved pet. Pavarotti was #4 and a big boy, and is now living and working in North Vancouver, Canada with Barry. Barry now calls him Yukon. Pete (#5) was a full-bred Lab, but with those long ears, people thought he might be part hound. He is living and working in Pennsylvania with Matt. 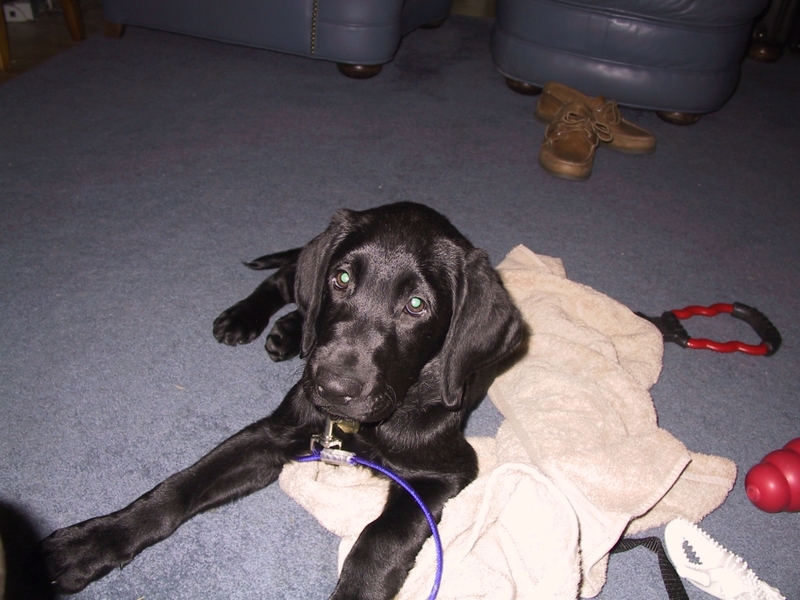 Teton was a sweet little fellow (#6) and went off to live and work with Danny in Missouri. Anthony (#7) was a tall, strapping fellow. 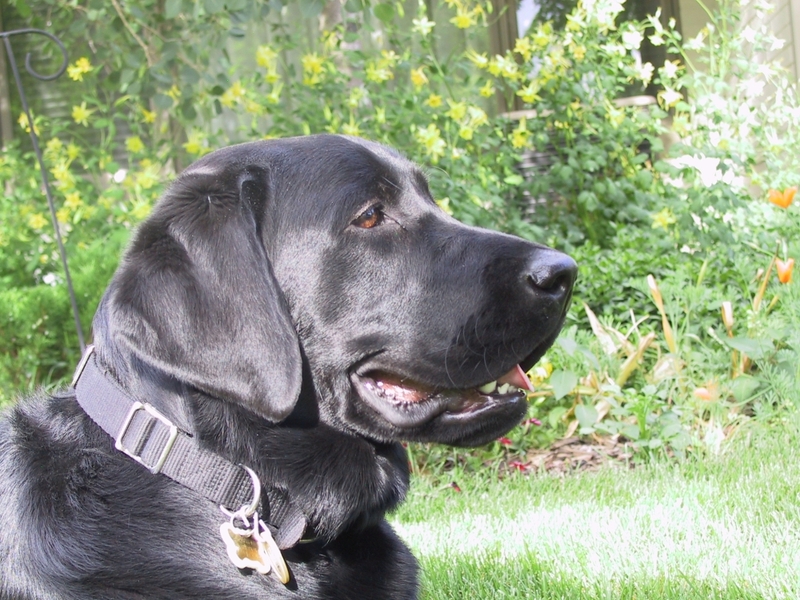 He is living and working with Al in Oregon and is now called Sable. Usher (#8) was only with me for a few weeks before we found that he had a defective kidney, so he left me at 12 weeks of age, they removed that defective part, and he is now happily living and loving with Kate in Oregon. He isn't working, but we have hopes that he will become a therapy dog. Tyson was #9 and a sweet fellow with big dark eyes. He graduated from Puppy College and then went off to Human College in Virginia with Tyler. Newhart was my #10. The first part of his training was done by a raiser in Utah, and he was transferred to me at 10 months of age. He is a sweet, friendly fellow - and he went to work as a guide dog with Shaun, but after a short working career, he decided that he was not cut out for guide work. He is now the beloved pet of Shaun and his family. 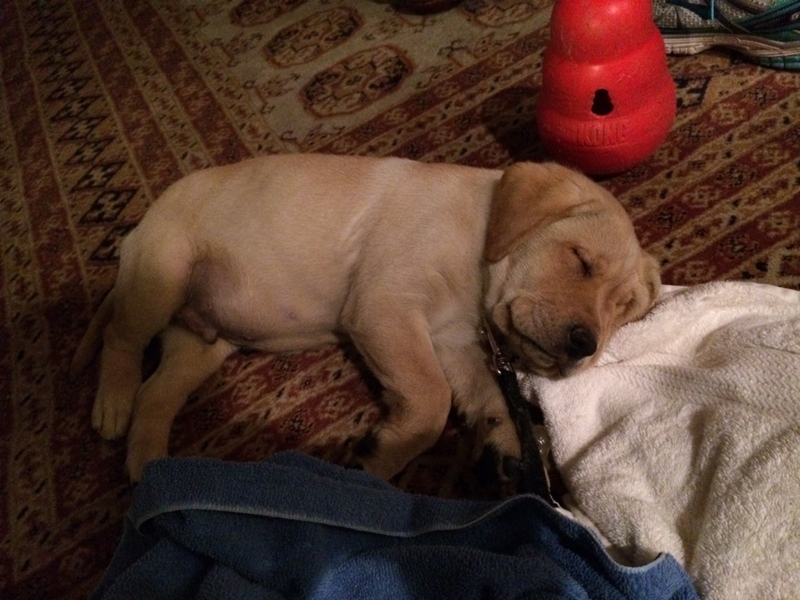 Jax (#11) turned into a laid-back, calm fellow and found that working requires more energy than he could maintain. So he got to stay with me forever with a slight name change to Jack. Lafitte is my #12 and is a small, short and stocky guy, who loves his belly rubs. 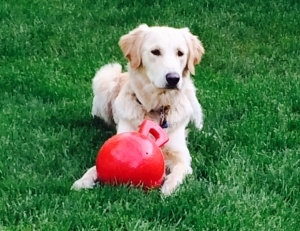 Lafitte is now living in Ohio and working with Aaron at OSU - Go Buckeyes! Lipton is my lucky #13 and is a BIG, fluffy, sweet little boy. He is just getting used to his enormous paws and loves to play around with his new toys. He is so precious and will be a joy for someone to have.